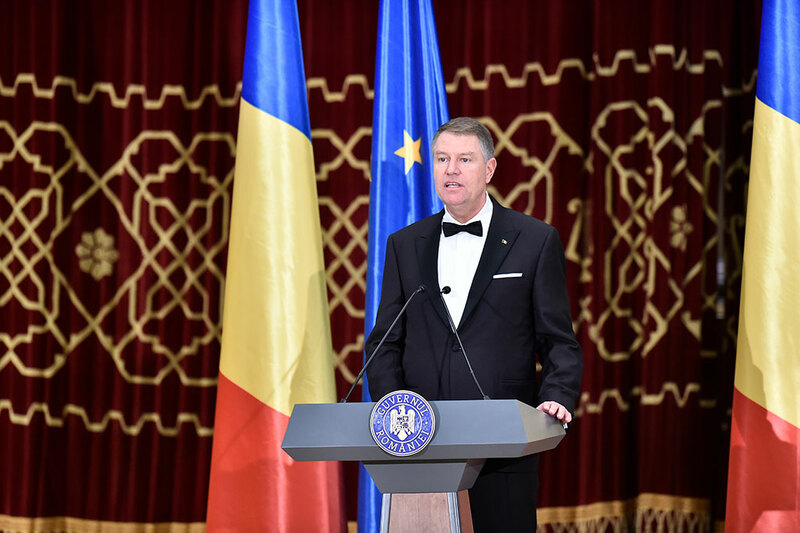 President of Romania, Mr. Klaus Iohannis, on Thursday, 10 January 2019, in Bucharest, delivered a speech at the official opening ceremony of the Romanian Presidency of the Council of the European Union. It is a great pleasure for me to join you in the official launch of Romania’s first Presidency of the Council of the European Union. 12 years after joining the European Union Romania takes a forefront role at the European level. If we take a look back, our country’s return to the European family was a particularly significant desire for whose accomplishment we made every effort at national level and worked with dedication and professionalism, convinced that the European project was a unique construction for peace and prosperity in the world, and the only way to secure the joint progress of the European states. It is with the same conviction that today we take the Presidency of the Council of the European Union, with the primary goal of contributing to strengthening a more cohesive, more united and stronger Europe. The first half of 2019 will define the future dynamics of the European Union. The Union faces various challenges, at home and abroad, such as the process of the United Kingdom’s withdrawal from the European Union, migration and security in its immediate vicinity and beyond the European continent. Building today’s European Union was possible because the founding parents believed in the European project, in its ideals and values. We believe, today more than ever, that the European Union is an undeniably successful project, strong and viable. The more than 60 years of peace enjoyed by most of our continent are proof of the strength and confidence of everyone in our capacity to work together effectively and sustainably. These years are evidence that “united in diversity” is not just a motto but the expression of the fact that our Union is a perennial project, capable to constantly remodeling itself without giving up the founding principles and values. As an integral part of this European community it is now Romania’s task to advance our joint agenda. We all know that exercising a Presidency is a mission of high responsibility, which requires commitment and pragmatism to the same extent so as to provide concrete, adequate and realistic responses to all challenges. More unity and cohesion – this is the path we propose for the coming six months and which we should all follow consistently. We have a number of important dossiers on the European agenda, such as negotiations for the future post-2020 Multiannual Financial Framework, and the context of Romania’s Presidency will be marked by the elections for the future European Parliament. Against this background we will have to demonstrate that unity and consensus can lead us to defining a new page of our joint project. We need more cohesion in all our actions at European Union level, irrespective of whether we are speaking of a Europe of convergence, of a Europe that is more secure, of an increase of Europe’s role as a global player or of our shared values. We see convergence as a crucial element to ensure the advancing of the European project. As I was saying, during our term of office at the Presidency of the Council of the European important developments will take place for the evolution of the European Union and we are confident that meetings of special significance, such as the Summit in Sibiu, will provide new prospects for tomorrow’s Europe. I express my desire and hope that May 9th, 2019 remains in the history of the European project as the date when the narrative of a strong, united European Union was reasserted. Today we have the pleasure of jointly marking the start of a six-month period that is important for our country and the Union. Together we will be successful in strengthening the unity and cohesion during these months, at a time of challenges and important stakes for this Union, our European Union.